so funny that you would srite this. On Sat afternoon, around 12:30PM, my family and I were headed to Asheboro. We were in the left lane and I glanced over and saw a woman I thought resembled Foxx,..she was driving a gold van and eating a candy bar or something small. Then she switched lane several times, turned on her emergency lights for a moment. My husband commented about the license plate and erratic driving. I knew by the plate it was definitely Foxx. She seemed to be in a hurry and turned off of 421 and headed towards West Jefferson. Sometimes drivers have no concept of the round and their surroundings. They think only of themselves and their situations. Pretty much sums up Foxx's political positions also. I see a trend. She was probably on the way to a breakfast buffet at tax payer expense, and was calling ahead to ensure there was still plenty of gravey, biscuits and sausage to make it worth her while. I can't comment on how much sausage she eats, but it's clear what a ham she is! Reminds me of Margaret Hamilton in the Wizard of Oz!! Did my earlier comment get lost, J.W.? 1) Driving in the left lane. 2) Not many cars on the road, so no reason to camp out in the passing lane. 3) The experience lasted a good deal of time, so the driver was in the left lane for the whole way down the hill (not preparing to turn). 4) The author believes that "going the speed limit" makes it okay to break NC General Statute 20‑146. 5) The author slammed on their brakes to punish another driver, a violation of NC General Statute 20‑140 "Reckless Driving". There is nothing about what I have written that constitutes a personal attack. The author of the email freely admits to breaking the law, and describes exactly how he or she violated it. It is also curious that the Anonymous poster who described their similar experience with Ms. Foxx also claims "we were in the left lane". I don't even own a car, but at least I know that it's rude, unsafe, and illegal to drive in the left lane unless you are passing or preparing to turn. NC General Statutes seem to agree. For real? You are being ridiculous. Go have a latte or something and remove the General Statutes from your behind. This is not a personal attack, just revealing the obvious. This is a chance to vent on one of my biggest peeves about NC drivers (of all political persuasions): WHY can't they observe THE LAW: which is SLOWER TRAFFIC KEEP RIGHT. In some states it's KEEP RIGHT EXCEPT TO PASS or KEEP RIGHT PASS LEFT ONLY. but they all mean the same thing. It does not matter how slow or fast you are going or how much traffic is on the road you should ordinarily drive in the right lane, because on a multi-lane road it is less safe for someone to overtake another car by passing in the right lane. IMHO this is one of the least-observed traffic laws in our state and if any troopers are reading this, how about picking up some violators once in a while (regardless of the plates of the offenders)? There are HUNDREDS who violate the law each and every day on 321 between Boone and Blowing Rock. You are a left-laner, are you not? You may want to read Brotherdoc's post to understand how annoying it is to drivers who understand the rules of the road when one selfish person decides he or she cannot be bothered to stay in the right lane except to pass. Riding in the passing lane is an absolutely thoughtless, self-centered act by people who do not give a damn about anyone other than themselves. That is why almost every state has a law about it. That is why signage everywhere states "Keep Right Except to Pass". Amen, Brotherdoc. I couldn't agree more. Mike D is absolutely correct for driving on, say, 321 coming up the mountain. But the author of the e-mail was on a city street, preparing to turn left at the light. Everyone turning left on Blowing Rock Rd drives in the left lane on 105 Ext., because if you don't, you'll get cut off and have to sail right on through the intersection at Wendy's....you might be able to get into the left lane before the By-Pass, but it ain't guaranteed. On every 4-lane into or out of town, or between Boone & Blowing Rock, I am in absolute agreement with Mike D.
Why is it that most of the idiots blocking others by driving in the left lane are also talking on their cel phones while doing so. You can spot them way ahead of you...they are the ones speeding up to the speed limit, then slowing down to 10-20 mph BELOW the speed limit while they focus on their conversation. When you start to pass them (on the right) they re-focus and speed back up - at least for a little while. It's great though that WW'ers have so few things about Ms Foxx to complain about that they can devote their time to bitching about her passing people in traffic! I just appreciate the warning that Foxx is/was in town. If you spot her, be sure to practice your defensive-driving skills. There is more to complain about when it comes to our embarrassing congresswoman,..Hate Crimes Bill, ending Medicare, decreasing taxes for the super-wealthy, ending the free school lunch program, pro Big Oil but voted NO on tax credits for renewable energy,..it goes on. Its amazing to me that anyone could call himself a Foxx Fan. A Foxx Tolerator (if you are a republican) perhaps. The woman's driving is clearly a microcosm of her career as a politician,..self-centered and looking to get ahead. Big old capital letters FANN! As in one of the 2 out of 3 voters that came out and supported her in the last election. Maybe 1/3 of you aren't getting enough of what you want, but 2 out of 3 of us voters are there casting our vote for Virginia Foxx! Thank you Ms. Foxx for remembering who voted for you! Wow. She ended medicaire? And she cut taxes just for super wealthy people while the rest of us continue to pay high rates? And she made it legal to kill people you hate, I guess? Geeze, you would think some of that would have made the papers. I confess to driving in the left lane from Blowing Rock to Boone. It's because the right lane is in such disrepair that the ride will beat you to death! A bigger problem, I think, are drivers who apparently don't realize their vehicles are equipped with turn signals which let your fellow-travelers know what you're about to do. And those who drive in our dense fogs without their headlights on should be shot on sight! If someone who understands the whole "Keep Right Except to Pass" thing closes on you from behind and seems uneasy to pass on the right, would you move to the right lane to allow him or her to pass on the left? My guess is yes, given your thoughtful analysis. It seems as though we have found a non-partisan issue... common ground. BRock I agree about the condition of 321 surface. When I think of the years, $billions, hours of overtime, etc. that went into widening it from Patterson to Blackberry, I wonder how they can be so negligent of the stretch between Blowing Rock and Boone. A recent AP story says NC has the second-worst roads in the nation, behind only Louisiana. That's a sad come down for what was once known as the Good Roads State. Where do our state gas taxes, high compared to some states, go? Will the current crop in Raleigh call for a knock-down drag-out investigation of NCDOT, its priorities, procedures, potential for waste fraud and abuse, etc.? That might also be a ripe bipartisan topic for discussion. "Where do our state gas taxes, high compared to some states, go? " Doc, have you driven around the Raleigh Durham area lately? I don't think there is a road there that hasn't been repaved in the past few years. And new roads everywhere. There, and east. Not that they aren't needed, they probably are. But it seems like the NC DOT has always neglected the Western parts of the state in favor of ENC. Never heard back from Pro-Choice Mom. "For real? You are being ridiculous. Go have a latte or something and remove the General Statutes from your behind." This seems to indicate that you don't see a problem with camping the left lane when you are driving. Now, this is just a hunch, but I strongly suspect you are admitting to being a left-lane driver, something that is clearly a major pet-peeve of numerous WW contributors (as well as the State of North Carolina). So, if my suspicion about your driving habits are correct, please indulge us with the logical thought process that validates camping out in the left lane. It's something I've never understood, especially considering how dangerous it is. So please, enlighten us? Mike D, why do you care which people drive in? You said you don't have a car or drive. Mike D., I always pull into the right lane when I see a car gaining on me from behind. I'm only a left-laner due to the atrocious condition of the right lane between Blowing Rock and Boone. 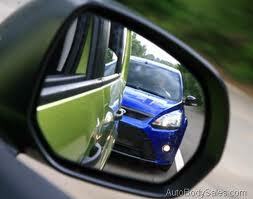 Politically, I am firmly in the left lane and refuse to be passed on the right! You do make a good analogy when you relate the those on the left to inconsiderate fools that impede the public good. Why do I care whether people rob grandmothers? My grandmothers have all passed away anyway! Your logic is bizarre. Mike D, do you care about grandmothers? That is not the topic of the thread and you have not made any statement to indicate you do? If you believe driving in the left lane as a habit, in spite of it being dangerous and illegal, is perfectly fine, please share your reasoning with us. I would truly like to understand the motivation behind it. My belief is that it derives from the simple, selfish "I serve myself alone, and screw everyone else on the road" thought process, which would obviously be quite funny to find that attitude of "screw thy brother" from a dedicated leftist like Pro-Choice Mom. This could very well be why she has not continued to be part of this dialogue. Is there not a single left-laner reading this who will stand up in intellectual defense of his or her driving behavior? Maybe Mike D. should stop nagging the pro-choice mom....every mom on the planet (pro-choice or not) will tell you she's BUSY! Not everyone has time to bicker back and forth with you! In fact, I can't believe I just spent 10 minutes reading all this myself....now back to real life and I'll leave the squabbling over which lane someone drives in to all of those with more empty time on their hands than I have! All those words, all that time spent typing, and not even a word about the subject. When I saw such a long post, I thought for sure you were going to take a stab at rationalizing the behavior. But you did bring up an interesting point. Perhaps left lane drivers are simply too busy taking care of their own needs to be considerate of the needs of other drivers. Perhaps they are too busy to pay attention to the needs of anyone besides themselves.